Alamar Media was founded in 2000 by William Reynolds to create, design and publish artistic works, new media and branding vehicles focused on the American West, its people, businesses, artists and culture. As the world moves faster around us all it is important to not forget the rich evolving history of the West and its contribution to America and the world. William Reynolds is an award-winning Western journalist and publisher who has worked in the Western industry for over thirty-five years. Reynolds and his friend Buck Brannaman wrote the best-selling book The Faraway Horses, released in fall 2001. 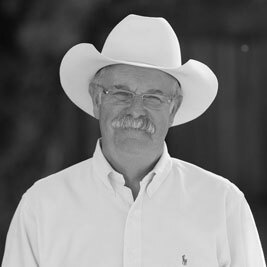 Reynolds is also co-author (with master hatter Ritch Rand) of The Cowboy Hat Book and author of The Art of the Western Saddle, released in December 2004 and named Equine Book of the Year by American Horse Publications. Reynolds penned his second book with Brannaman, Believe, A Horseman’s Journey, in 2005 and recently released a book of short stories by Western artist Edward Borein. He is currently president of Alamar Media, Inc., which created and marketed the quarterly journal The Cowboy Way for the Paragon Foundation in New Mexico. Reynolds also published thirty-one issues of the award-winning Western journal Ranch & Reata. He is an active member of the Western Writers of America, Los Rancheros Visitadores, as well as a member of the Board of Trustees of the Santa Barbara Historical Museum and former board member of the National Cowboy & Western Heritage Museum and the Santa Ynez Valley Historical Museum. To contact the author, write to br@alamarmedia.com.